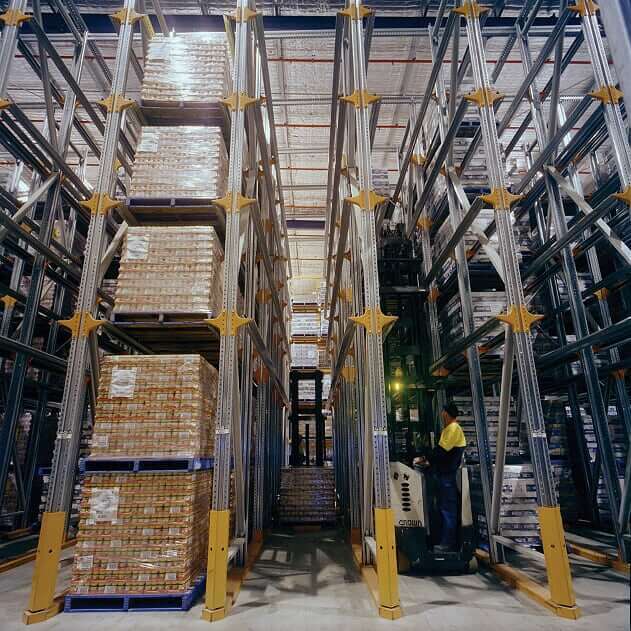 Drive-in pallet racking is one of the best-selling products of Able Storage and is offered to our clients based in Melbourne, Victoria, and other parts of Australia. 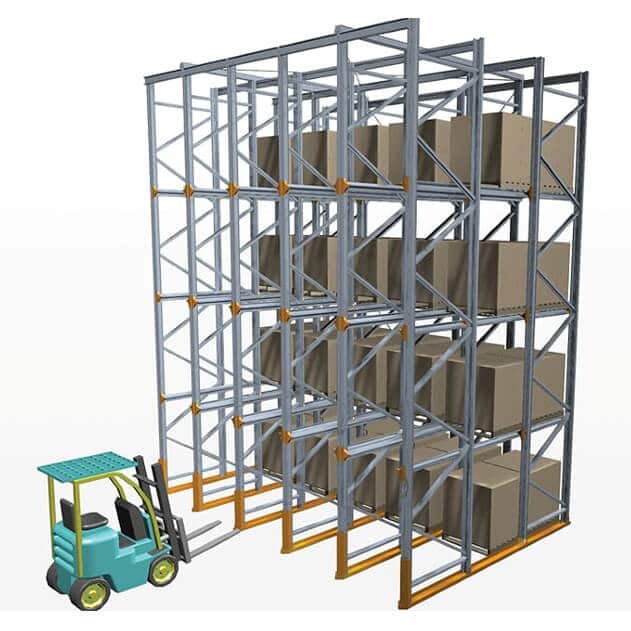 It is a high-density pallet racking, which provides an ideal option for situations where selectivity is not necessarily required. It is also considered one of the most affordable options. Drive-in pallet racking uses guided rails from front to back instead of beams to allow forklifts to drive into empty rack locations to help make the storage of multi-deep pallets easier. It is known for providing an excellent storage capacity but restricts the assessment of the first pallet in being the last pallet out. 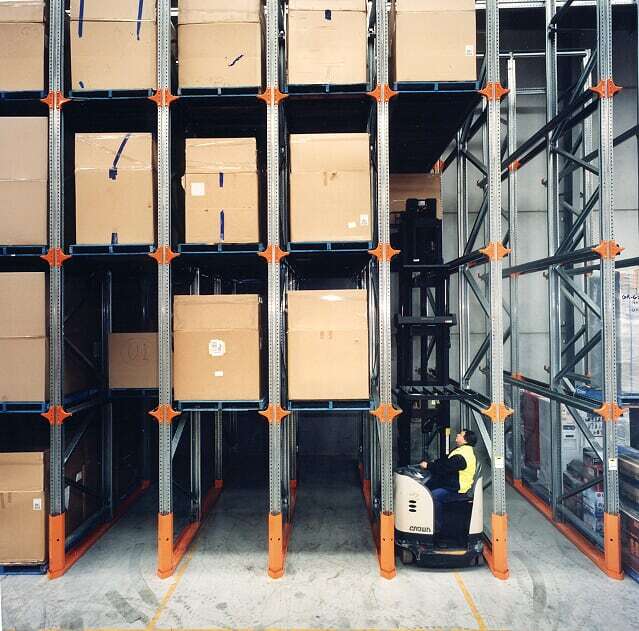 Able storage can help you in maximising your warehouse space and volume with its drive-in pallet racking system. Make the best use of your space and eliminate blocked aisles. 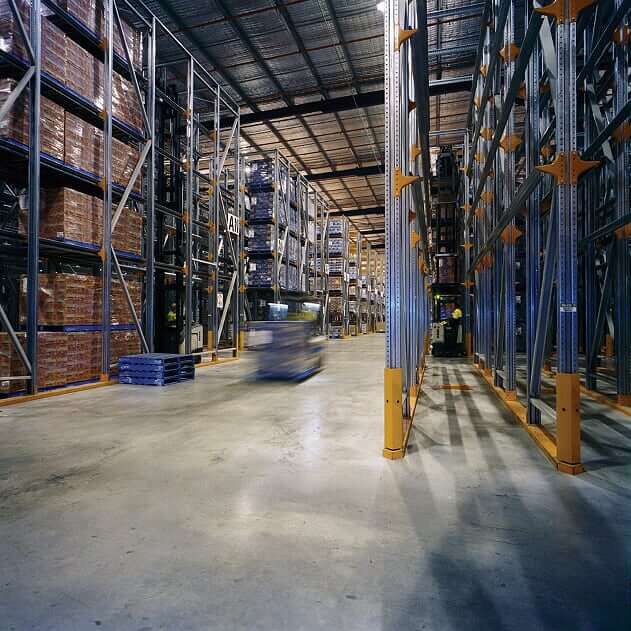 This system provides double pallet storage capacity when compared to standard pallet racking. 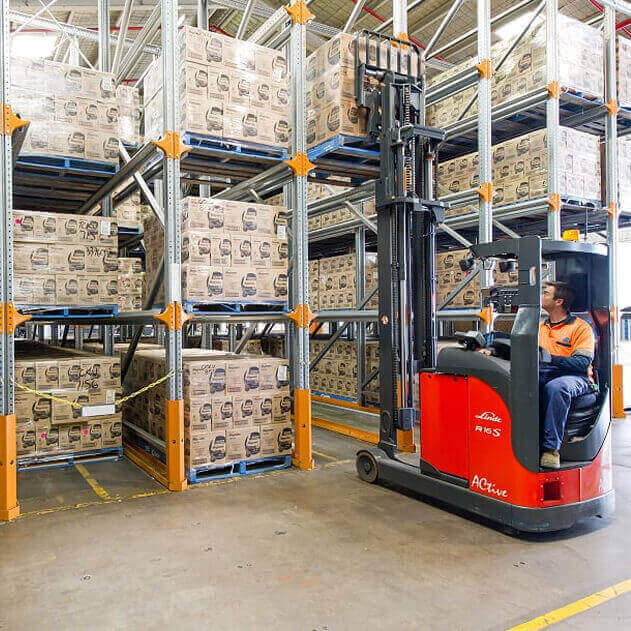 Drive-in pallet racking is an ideal option for businesses that require a large number of pallet quantities for dry store goods and cold storage, but also do not require immediate accessibility and fast stock rotation. Our products can be used in conjunction with a wide range of forklifts, including counterbalance and reach trucks. It is a suitable option for only a few Stock Keeping Unit (SKU) but it is suitable for many pallets. Call Today For Affordable Drive-In Pallet Racking! 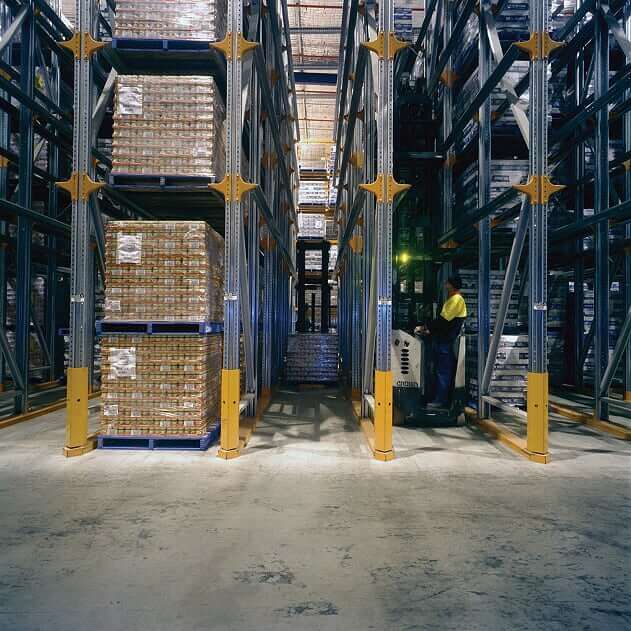 For more information and queries on our drive-in pallet racking products and services, feel free to contact Able Storage on (03) 9305 3676. You can also visit our showroom at 275A Rex Road, Campbellfield Vic 3061 and see smart storage solutions in action. We are open from Monday to Friday, 8:00 AM to 5:00 PM.